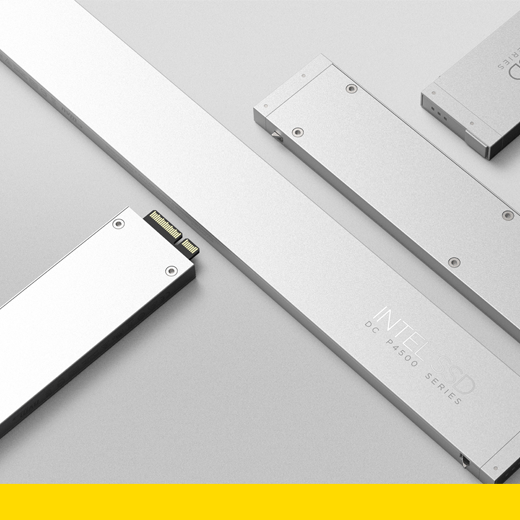 Everything about the form factor of the Intel SSD Ruler answers customer needs and has a purpose with an advantage. Built for data centers, it gives customers an SSD with high per-drive, per-server and per-rack capacity. Its new form factor with an intuitive latch provides improved manageability and serviceability in tandem with an efficient thermal design to reduce maintenance costs and completely disrupt the total cost of ownership. When people think of storage, they think of a flat rectangle about 2.5 to 3.5 inches wide, the right size and shape to accommodate a spinning disk. This new form factor maximizes capacity while fitting into a 1U server rack. A dense drive-to-drive pitch allows 32 SSD Rulers fit into a 1U server rack. This density means data centers can now fit a petabyte of storage onto a single 1U server rack, replacing 24 1U servers.